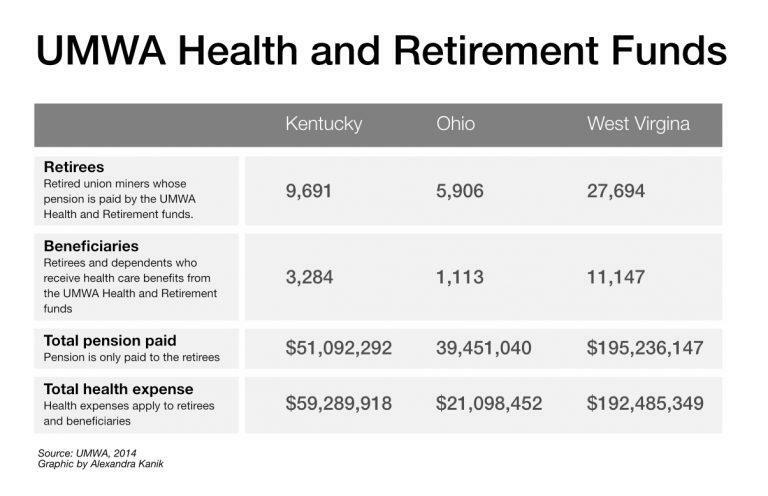 Miners in Kentucky, Ohio, and West Virginia who helped keep the country’s lights on are worried that their retirement benefits could go dark as a result of a wave of bankruptcies in the coal industry. They hope Congress will approve a bill called the Miner’s Protection Act to shore up the pensions and health benefits promised to union miners. The bill has been bottled up in the Senate’s Finance Committee but Hill sources say Senate leaders have promised a committee vote before Congress breaks for the summer on July 15th. Joe Holland has been with the United Mine Workers of America for four decades. He worked 10 years as an underground miner for Peabody Energy in Muhlenberg County, in western Kentucky. Born in a company-owned house, Holland is a fourth generation coal miner. His grandmother kept two pictures on the mantle; Jesus and the UMWA’s legendary leader John L. Lewis. “Without Christ y’know they thought they was going to hell, and without John L. Lewis they was going to starve to death,” Holland said. 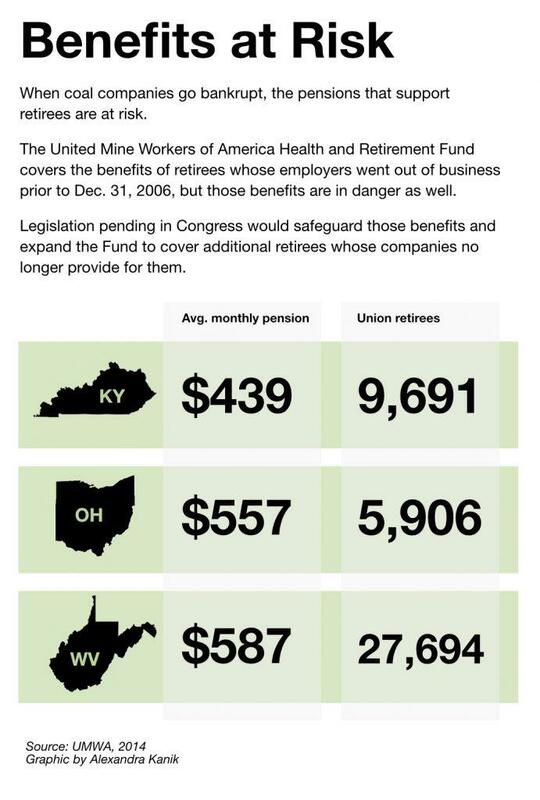 Holland is among more than 43,000 retired union miners in Kentucky, Ohio, and West Virginia whose pensions may be at risk due to a wave of bankruptcies in the coal industry, and health benefits for thousands more are also vulnerable. “I think the fear that you can see in their eyes from some of these folks, I do think it’s inhumane,” Holland said. Holland and 110 other Muhlenberg miners boarded a bus last month to travel to a rally in Lexington determined to have their voices heard. Holland said it’s difficult to see hard working people like the man next to him, Kenneth Vincent, scared of what they’ll do without their benefits. Vincent was an underground miner for more than 20 years for Peabody and Amax Coal. He said he stopped mining under doctor’s orders after his back was injured in a rock fall. He’ll be one of the last ones to get off the bus, he said, because it takes him awhile to get his joints moving. “But you asked any man on here the reason why they’re on here today, they got somebody in their family they’re trying to take care of,” Vincent said. 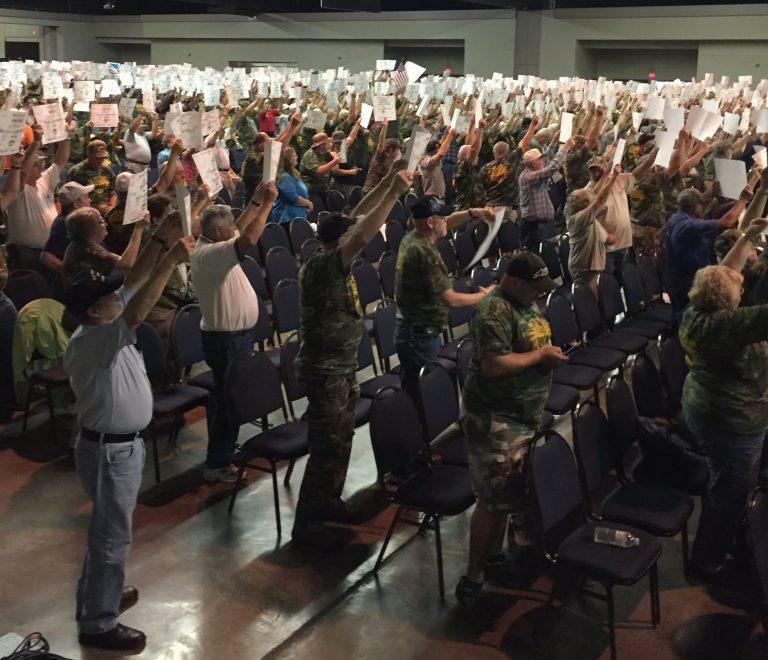 UMWA members rally in Lexington, Kentucky, in support of legislation to fully fund pensions and health benefits. Vincent, Holland and the other retirees want the cradle-to-grave health and retirement benefits promised to them when Congress intervened in 1947 to settle a national coal strike. Negotiations to establish a health and welfare fund for miners started in 1946. Miners and operators rejected proposals until President Harry Truman issued an executive order taking over all bituminous coal mines in the U.S. A week later lawmakers struck a deal, known as the Krug-Lewis agreement, and the strike ended. The agreement used royalties on coal production to create a retirement fund for miners and their dependents in cases of sickness, disability, death and retirement. The interest from the AML fund is currently being absorbed into the U.S. Treasury and the new legislation would redirect some of that interest to safeguard pensions and benefits. Despite bipartisan support, the bill has languished in committee and the Muhlenberg miners blame Kentucky’s powerful Senator Mitch McConnell for blocking the legislation. 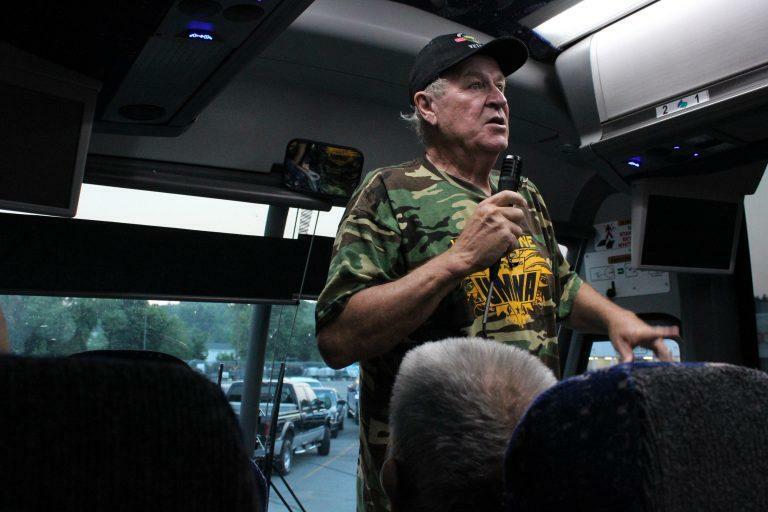 Retired miner Joe Holland speaks to a bus load of fellow union members. Even if the bill passes, deeper issues remain. “It certainly seems like a Band-Aid on a problem that needs a permanent fix,” West Virginia University Law Professor Patrick McGinley said. McGinley argued that Chapter 11 reorganization bankruptcy is being misapplied in cases like Peabody’s. Peabody, the country’s largest coal mining company, declared bankruptcy in April. Eight years earlier Peabody created Patriot Coal for its eastern U.S. mines. “Patriot was set up to spin off Peabody’s significant liabilities including liabilities for miner’s pension and health funds,” McGinley said. Patriot has twice declared bankruptcy. Peabody also has an estimated $1.4 billion in pending reclamation costs for currently permitted mines. Money can’t come from the AML because that is intended for use on lands abandoned before the establishment of the AML fund in 1977. That means the money for reclamation has to come from the company, unless it can persuade a bankruptcy court to relieve it of some of that debt. 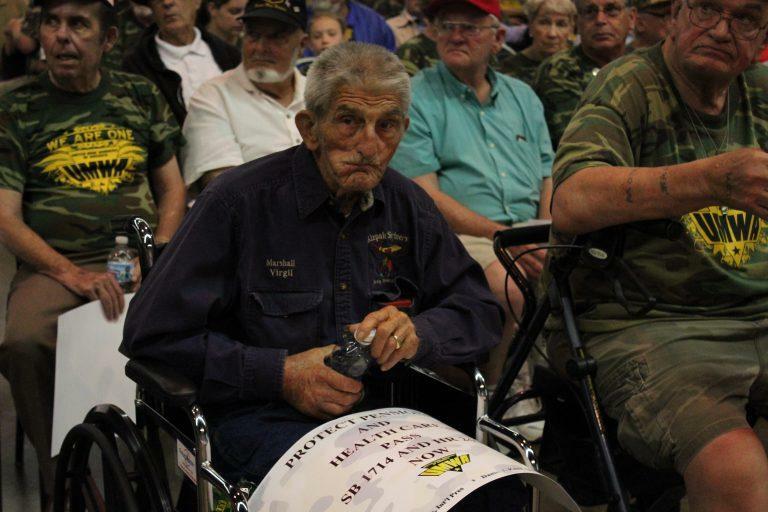 When the Muhlenberg miners arrived in Lexington, some with oxygen tanks in tow, they piled into golf carts that delivered them the short way to the venue for a rally where UMWA President Cecil Roberts and others spoke. Although Vincent lives with pain every day and at times it’s difficult to get around he still comes to the rallies. He needs his health insurance, not just for himself but for his family. “The company personnel has took our health, our vigor, our youth. And now we’ve got old and they want to push us to the side like we’re useless,” Vincent said. Vincent and other UMWA miners say there will be more rallies including one in the nation’s capital in September if needed.